Museum Archipelago: 47. Buzludzha is Deteriorating. Dora Ivanova Wants To Turn It Into A Museum. High in the Bulgarian mountains, Buzludzha monument is deteriorating. Commemorating early Bulgarian Marxists, it was designed to emphasize the power and modernity of the Bulgarian Communist Party. Buzludzha is now at the center of a debate over how Bulgaria remembers its past. Some people want to destroy it, some people want to restore it to its former glory, but Bulgarian architect Dora Ivanova has a better idea. Ivanova wants to turn it into a museum, and she founded the Buzludzha Project Foundation to do exactly that. 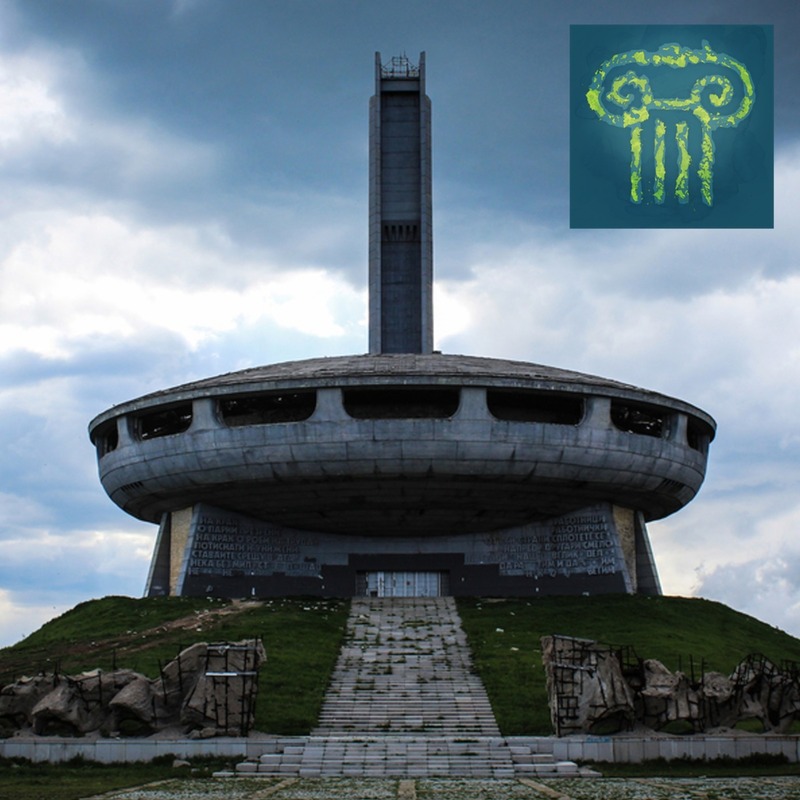 In this episode, Ivanova describes how the city of Berlin inspired her plan for the preservation of Buzludzha, how to preserve the past without glorifying it, and the next steps to making her plan a reality. Subscribe to Museum Archipelago for free to never miss an episode. 02:20 "The Cathedral of Socialism"
Below is a transcript of Museum Archipelago episode 47. 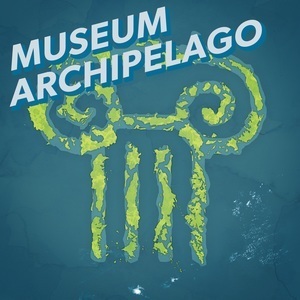 Museum Archipelago is produced for the ear and only the audio of the episode is canonical. For more information on the people and ideas in the episode, refer to the links above. In 1981, on top of a mountain in the middle of Bulgaria, high-ranking members of the Bulgarian communist party gathered to celebrate the opening of a new monument. The monument, called Buzludzha Memorial House, was erected here to commemorate the 90 year anniversary of the first illegal meeting of Bulgarian Marxists. The communist dictator of Bulgaria, Todor Zhivkov, dedicated the monument. “Let the pathways leading here, never fall into disrepair,” he said. Of course, it did fall into disrepair. Eight years after opening, Todor Zhivkov was deposed from office by his own party, and soon after the rule of the Bulgarian Communist Party crumbled. Buzludzha is in an eerie state of decay. I’ve never seen anything like it. It’s mostly in the shape of a flying saucer — an enormous round disc of concrete. If a particular alien culture had a fetish for brutalism, this would be their spaceport. Rising out of the back of the saucer is a tower, 230 ft high, and flanked by two red stars. The communist party claimed that the red stars, illuminated at night by spotlights, could be seen from as far away as the Romanian border in the north, and the Greek border to the south. Dora Ivanova: It was on purpose built like this. It was built to impress. It was built as part of the political propaganda and education as they called it during this time. It’s shape looks like a UFO, actually. This is also on purpose because it had to show how the socialist idea is contemporary, it’s the future. Dora Ivanova: Hello, my name is Dora Ivanova, and I am the founder of the Buzledzha Project Foundation, which aims to preserve the Buzludzha monument. The first time I visited Buzledga was in 2014. I was amazed. It’s a really powerful place. It felt like being in a cathedral. The cathedral of socialism, I’ll call it. I found that it is in not that bad condition, that it can still be saved. I was thinking that it is defiantly worth saving. But later, with my next visits, I got more sad and sadder about the condition. Seeing every time that the condition of the construction is worse and worse, it is really hard for me. I visited Buzledzha in the summer of 2018. The glass is gone from its windows, the red stars have been shot at and smashed, and there are worrying holes in the concrete structure. The monument has been left to decay — mostly sitting in limbo as the Bulgarian socialist party and the Bulgarian government argue over what to do with it. The only new development was that in January of 2018, a guard has been posted at the site to prevent people from entering and seeing the atrium or the crumbling socialist mosaics inside. He said he was not allowed to do an interview. Both Ivanova and I are too young to have lived under Socialism in Bulgaria directly. My association with that period of time has been almost exclusively with the old monuments scattered around the country. Dora Ivanova: In my opinion, the building should be preserved in its present condition. It defiantly should not be restored. To restore it would restore its meaning, and for many people it means to restore the glory of the socialist party. And this is defiantly something we don’t want to do. Many other people want it to turn into something different or imagine having a different function. But I think Buzledzha is interesting with what it is, what it stands for, and what it has already. I don’t think we need to put additional meaning or function to it. If we explain what is already there, if we explain the history which is behind this structure, this is the most powerful and meaningful solution. Museum Archipelago has explored the theme of what to do with these old monuments before, particularly monuments that are symbols of repressive ideologies. Episodes 5 and 35, about Stalinworld in Lithuania and The Museum of Socialist Art in the Bulgaria deal with these issues directly. But Buzledza is such an extreme example, and the debate around it, as far as I have heard, ether centers around completely destroying it or returning it to its former glory. Ivanova has a different idea. After visiting for the first time, she knew that she wanted to devote her Master’s thesis to an in-depth proposal to transform the site into a museum. Dora Ivanova: My proposal is to explain the ideology in a very powerful way. To explain all the mosaics, and they are different images. If they are all presented in a very objective and critical way, this will give an understanding of the whole period. And there are aspects like the culture and the role of the women in this period that can be explained to the public. In the underground levels, they can be a gallery that explains the history of the monument itself. Starting with the history of the place, the planning process, the construction, which was amazing achievement. Also how the building was used, why it was abandoned, how it was destroyed, and hopefully, how it was preserved. The proposal works for me because it uses the space as it is. The building was built as a gathering space — and in addition to the interpretive elements, Ivanova envisions that the interior atrium, which seats about 400 people, can still be used for cultural and scientific events. The Project which began as Ivanova’s master’s thesis seems to be gaining steam. Ivanova says that she has come to the conclusion that the best way to save Buzludzha is to harness the interest of the site that comes from outside Bulgaria. Just recently, the site has been recognized by Europa Nostra – Europe’s leading heritage preservation organization, as one of the seven most endangered heritage sites in europe. Dora Ivanova: And with this, it’s a win, actually. A rescue mission of European experts that will come to Bulgaria and will make a report and expertise us about the building and how it can be preserved. It is very important is to do a structural survey and a business plan and we need finances for that. But of course, all of this is at a very high political level and it is a political decision and I really hope it can be resolved soon. The site is truly amazing, even as a ruin. But I really want to visit the Buzludzha that Ivonva proposed. Bulgaria doesn’t have an intertrprive museum that explains the year of Socialism. I can think of no better place to put it than in one of that periods most daring symbols right in the heart of the country. Dora Ivanova: I guess I was inspired by Berlin, which is the city of dark history, the city of division and of the Second World War and the cold war. We have all the evidences here. What if Berlin decides to demolish all that and to say it never happened? I think that is not a good solution. I am very inspired by the way they present that for education and how people are first knowing their past and second presenting it to the others. And this attracts so many tourists and this makes Berlin what it is now. I really would like to take this attitude of knowing, understanding, educating, and try to implement such a project in Bulgaria where, it is a difficult past, and it is traumatic for many people, it is still memory and not history, but now is the time to action before the evidence is demolished and until people still remember it and still can write history from a personal view. Buzludzha can be this place. It is already the place that shows the problem. It think and I hope that it can become the place that shows the solution of the problem. You can find more about the Buzludzha Project Foundation, and see the pictures of what it is now, and renderings of what it might look like, at buzludzha-monument.com/project.